The past few weeks have seen me trying to hold back a huge craving for fried chicken and a certain workmate showing me photos of fried chicken really did not help. After a long but sustained battle to convince Mr C, we decided to give The Sparrows Mill a visit. I’ve heard many people rave about this place and I found it hard to believe how amazing fried chicken could really be. This was our must order because everyone spoke so highly of it. I was leaning more towards the original fried chicken but the ‘snow cheese’ made the dish sound unique so we decided to try it. It was actually amazing! The light, thin and crispy chicken skin is covered with a heap of powdery cheese. The cheese doesn’t completely overpower the chicken so the texture and flavour is to die for. I was also really glad the chicken was reasonably meaty and chunky. I would definitely order this again, in the full size next time! We originally ordered the Incredible Gangjung (Original) but unfortunately it was sold out. Mr C decided to go with the Hot-Spicy option, the waitress actually warned us that this was a very spicy dish, I regret not taking her advice seriously because it was seriously spicy. 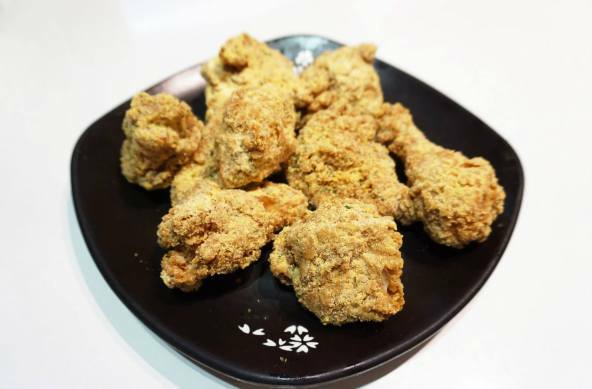 Unlike the NaruOne spicy chicken that was soft, the chicken was very crispy and remained like that despite the sauce which smothers the chicken. I found myself eating parts of the chicken which I usually don’t because I was just biting on the crunchy bits. 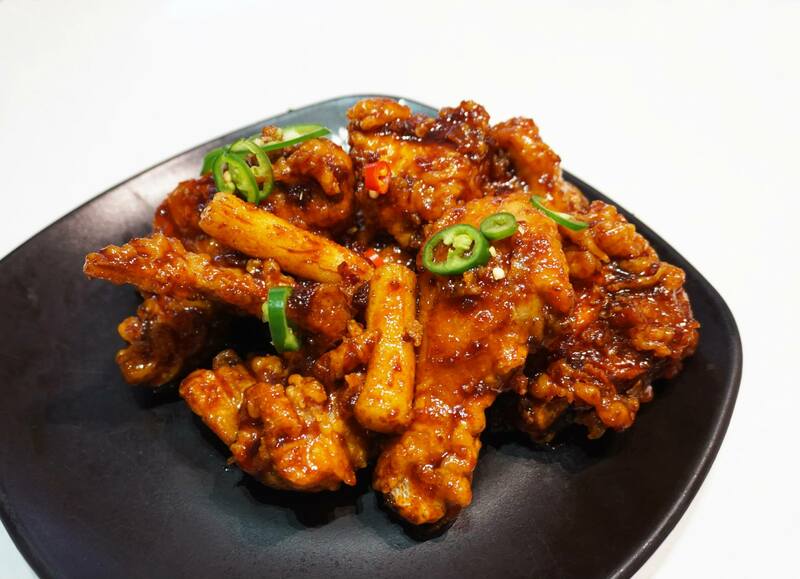 As with all Korean Fried Chicken restaurant, this small side dish was complimentary with the above chicken dishes. These are definitely a refresher when you can’t feel your taste buds from the chilli. 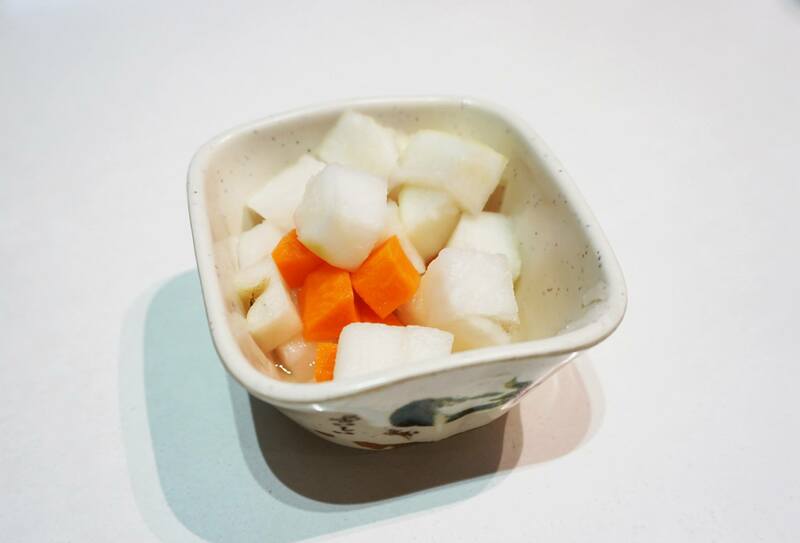 It tasted like radish and carrots covered in a slightly sour cold dressing. We arrived around 6.30pm on a Friday and were lucky enough to get the last table before the peak dinner time hit! It’s crazy how occupied the place was and the queue that slowly built up outside, I’m glad we made this visit as just proves the popularity of the fried chicken here. 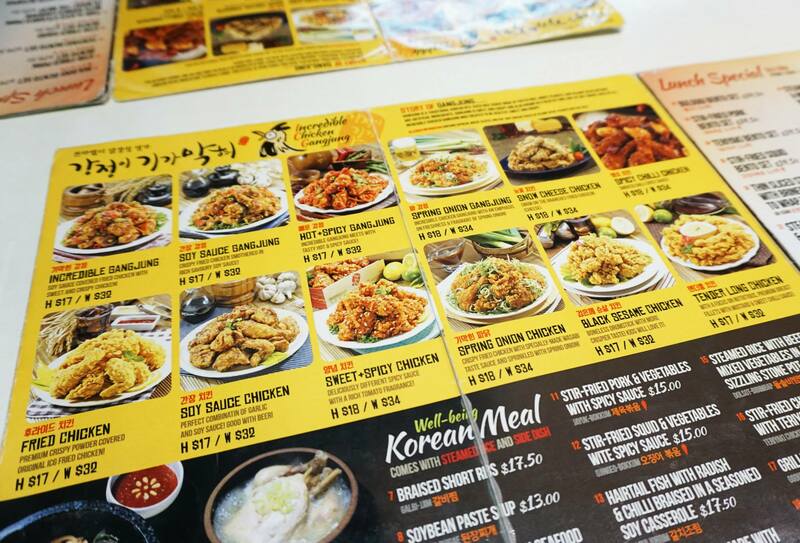 The menu at The Sparrows Mill is quite extensive and there are over half a dozen types of fried chicken, you definitely need to go with a big group if you want to try a bit of each. 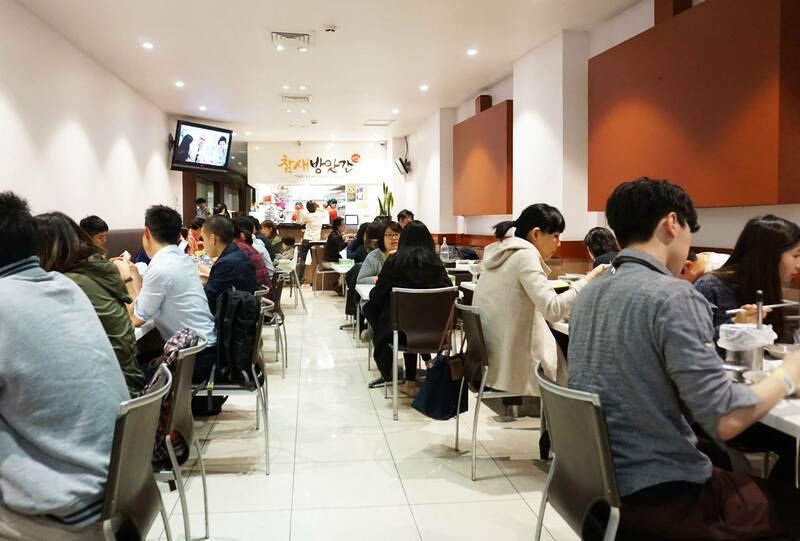 I think NaruOne will be facing a strong competitor this year for the Sydney Food Blogger Awards – Best Fried Chicken! so much fried chicken to choose from! fried chicken!! gearing up for the upcoming fried chicken party? yesssss! the snow cheese chicken is amaaazing! I love the snow cheese KFC!! 1 of my 2 favourite KFCs by Sparrow’s/Red Pepper.